The first morning of summer vacation seemed like a good time for a walk. I assembled some tools of the trade– camera, walking stick, water flask, small rod and reel– and took off for the hill. Like the hive of honeybees that recently swarmed in our yard and were later captured and taken by Carl, our amiable apiarist, I was off to a new ground for a while, the summer fields and forest of this long-time home. Feeling like a swarm of bees, I had thoughts and daydreams of my home ground, all of them held tightly in this body, free to roam and contemplate the world. 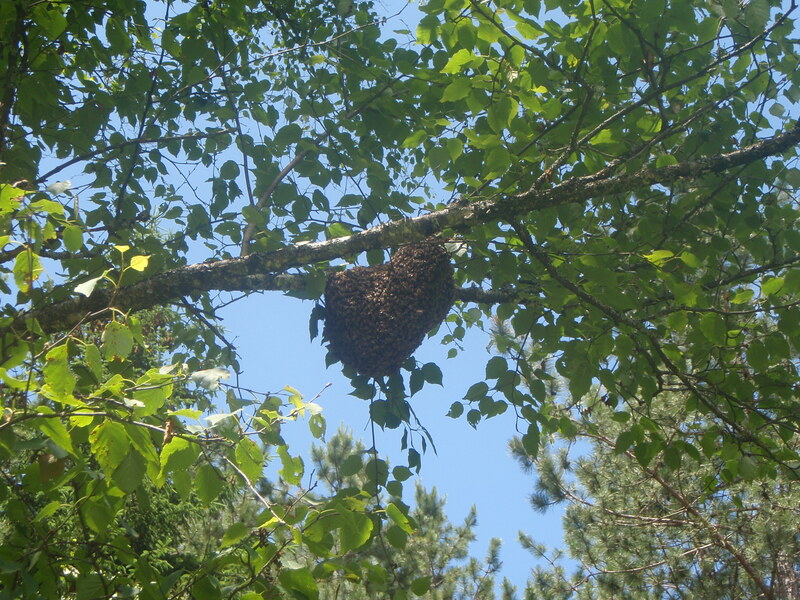 No doubt the swarm had hung calmly in the birch tree while the scout bees searched for a new home. Perhaps the scout bees worked the same woods I was climbing through. The old hive, feeling the pressure of a growing population, had produced a new queen when the weather felt right, and then gave birth to a new colony. When Carl stepped up to collect the swarm, shaking the bees into a basket and then pouring them into his box, you could almost hear the spirit of the swarm, an energy not unlike that of an active human body. I pushed onward through the forest and emerged on the summit fields. A vast acreage of chest-high timothy rolled in front and back of me, the wind undulating all surfaces. 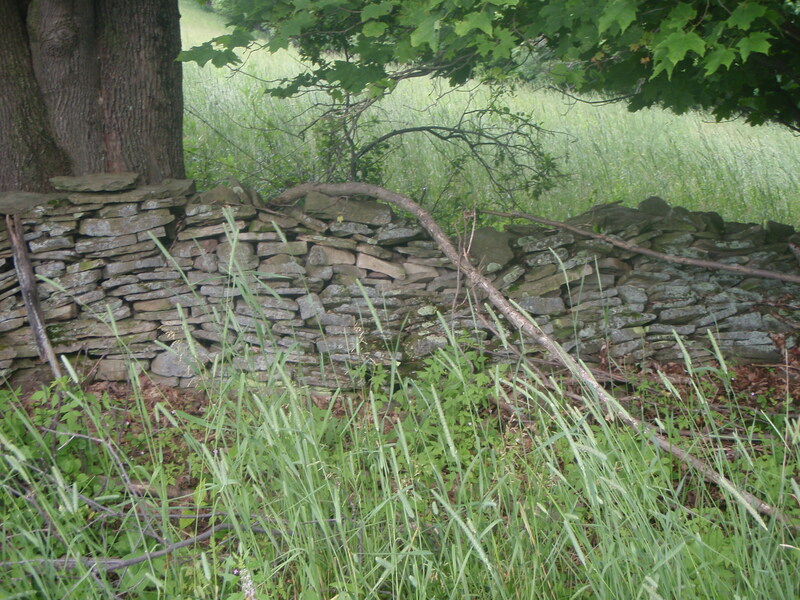 Titmice chattered at the woods’ edge; a bluebird warbled from a dead tree near an old stone wall; and bobolinks spangled a meadow with their song. Far down valley to the north I could see that showers were approaching. I reentered the familiar woods, secure in the knowledge that even if the sky darkened suddenly and the winds blew with horrendous power, I could find my way back without a compass, map, or digital gizmo. 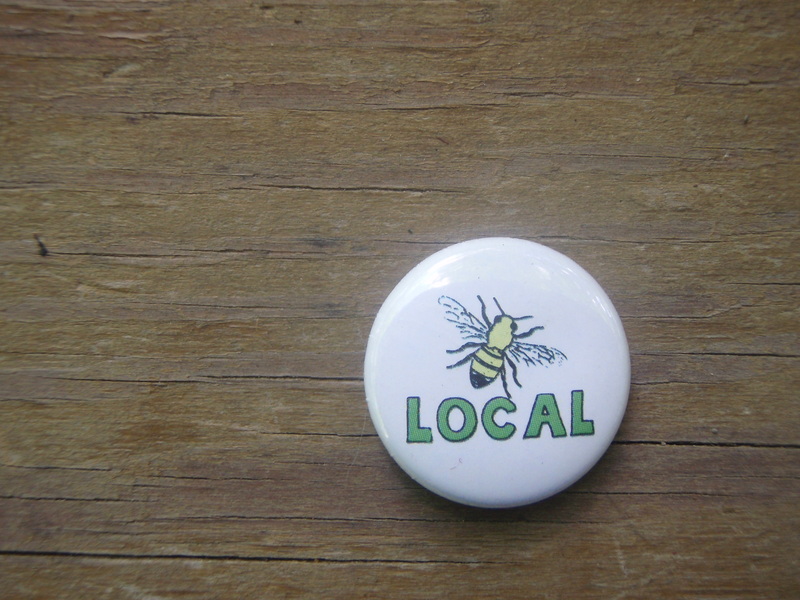 I had “scout bees” telling me to relax, all of this was home– the points of field and forest, hill and valley, earth and sky, all of it adding up to the heart of nature. It was dark and quiet in the hemlock woods. A late-morning thrush sang from a hidden post. A gray fox bounded off without a sound. I came to the clearing with its pond. There the bullfrogs leapt from their cattail rafts; the agitated redwings made direct flights toward me, and I pieced together a small rod and reel. I caught and released some of the smallest sunfish on the planet. I did not expect more. I didn’t want anything more. The wind stirred the reeds, and the sun and clouds brought an endless array of small reflections. I imagined honeybees living in a dead tree by the pond. Such is the spirit of a place. Alive in our heads, alive even when we’re absent from the world outside. This entry was posted in Uncategorized and tagged bee swarm, hill walk, nature, pond life, scout bees, songbirds, spirit of the hive. Bookmark the permalink. 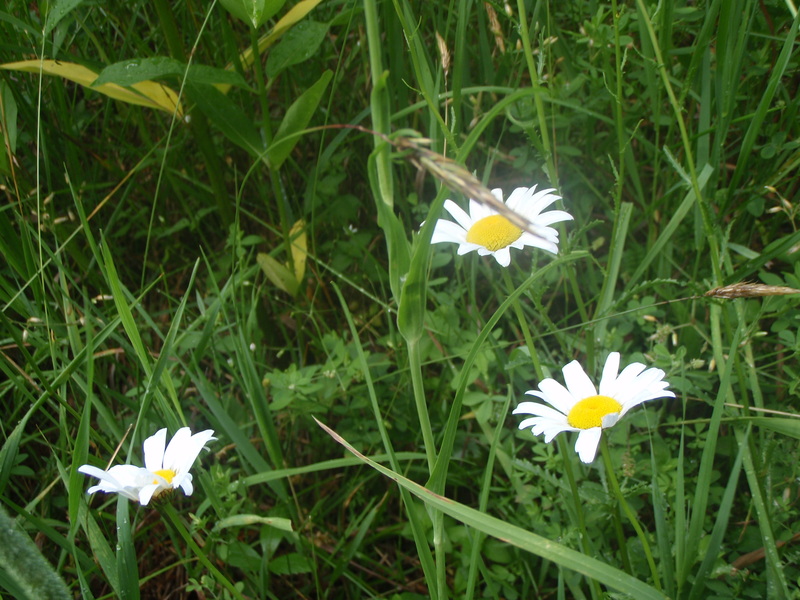 The picture of the meadow really makes me miss the green, cool summers. 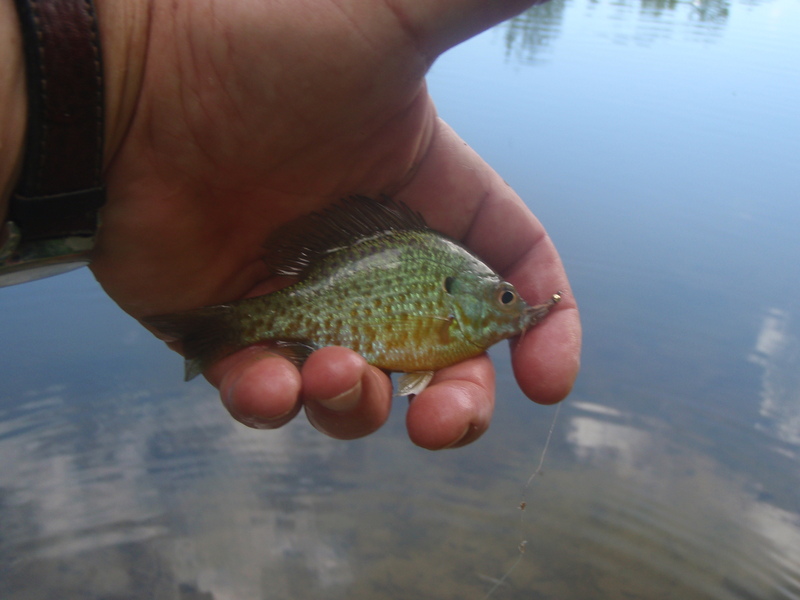 Which pond did you catch the sunfish in? Junior, Yeah, you’d have enjoyed the walk up there, cool green wind. It’s probably hot down there on the pavement, and I hear it’s close to unbearable in parts of the West where we’ll be headed. Need a positive sea-change. So I’m appreciating the full-shirt evenings while I can. As for the pond, well, it’s close. Real close. See you soon. These photos remind me of where I grew up, and the treks into the hills and ridges around Loganton, and Farandsville, and even a little bit up route 44 into the plateau region. 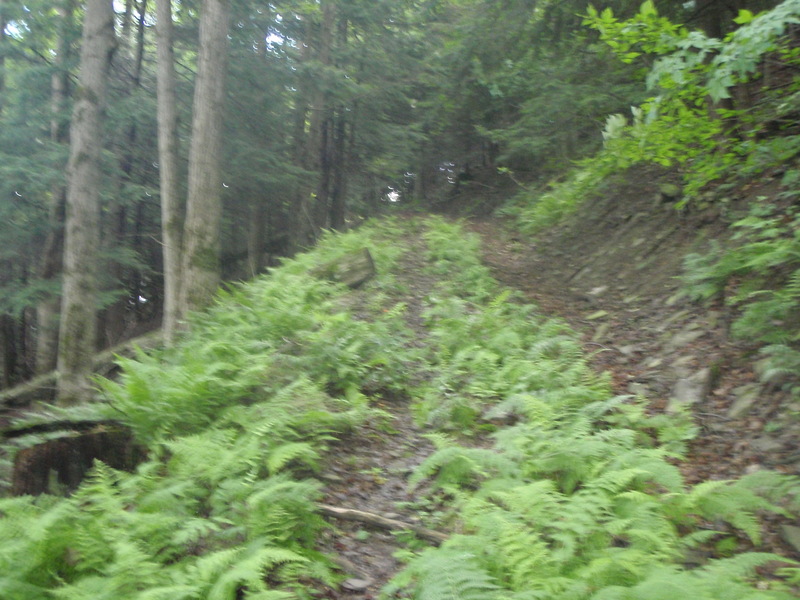 I lived a little further south these days, where the West and North Branches of the Susquehanna meet, but oh how I miss those quiet, ferny hillside trails. They are here too, but somehow not quite the same. It’s a quiet, unassuming yet remarkable country that grows inside the soul. I’d miss it too!